"A baby fills a place in your heart that you never knew was empty"
How does the Newborn Photoshoot work? After your portrait session is scheduled (session fee is paid + contract signed) we will schedule an in-person or over the phone consultation. This is the time to fill me in on everything you want from your session. I will guide you every step of the way to make this an easy process with a fantastic end result! I will help you with what to wear, selecting props and colours for the photoshoot and will discuss how you want to display your finished portraits as artwork in your home. I am an on location photographer, which means that on the day of the session we will meet at your residence and I will take pictures in the comfort of your home. 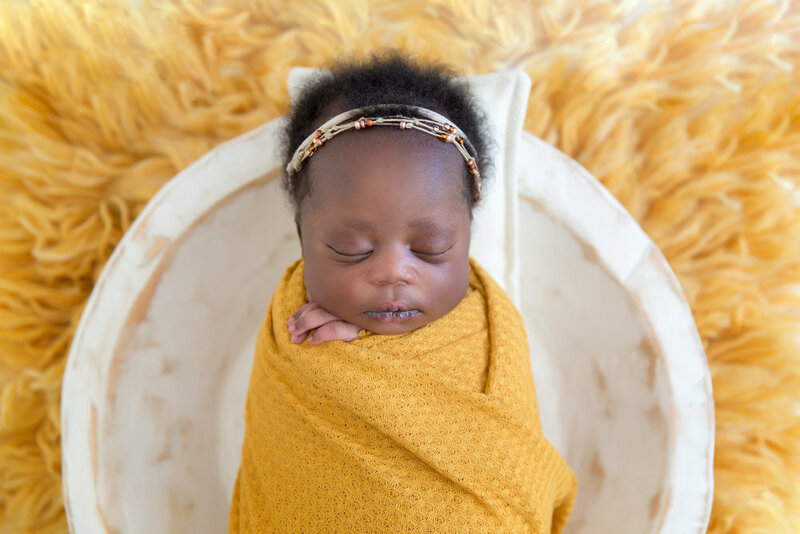 Having a newborn baby can be overwhelming and while it is important, the last thing a parent needs to worry about is the work or stress that can sometimes be involved with arranging for photography and professional pictures. My portable studio system and experience will ensure we capture the most beautiful images of your brand new baby with the least amount of disruption to your household and the most amount of parental enjoyment possible. 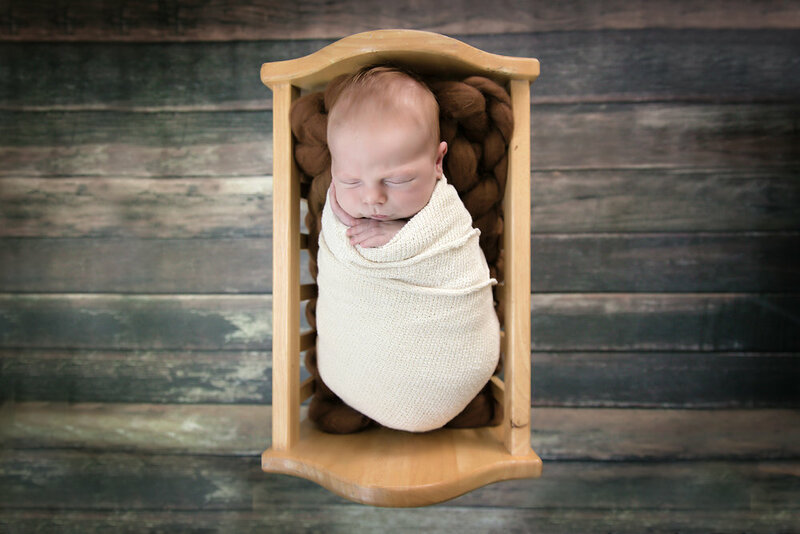 When should I schedule a newborn photoshoot for my new baby? The newborn photo session should be scheduled in the first 2 weeks of your baby’s life. The perfect timing is between 4 – 14 days old. Please contact me in advance with your due date, so that I can reserve you a spot on my calendar. Once your baby is born, please let me know so that we can finalize the photo session date and time. It is not necessary. I will bring different outfits, hats, headbands, blankets, props, baskets, etc., however if you have a special piece of a clothing or an item you want to incorporate into the photoshoot, you are more then welcome to have it ready for our session. We can discuss colours, props, and outfits in more length during our consultation session. For family / parents and baby photos I recommend wearing neutral colours without any patterns, black or white t-shirts (dad) and tank tops (mom) or skin to skin photos are always beautiful. How long will the newborn photoshoot take? Newborn photoshoots may take up to 4 hours. It takes extra time because of all the soothing, feeding, changing and all the extra love a newborn requires. What else do I need to know to prepare for the session? I will send you a comprehensive list of what to expect and how to prepare for a successful session prior to the photoshoot.